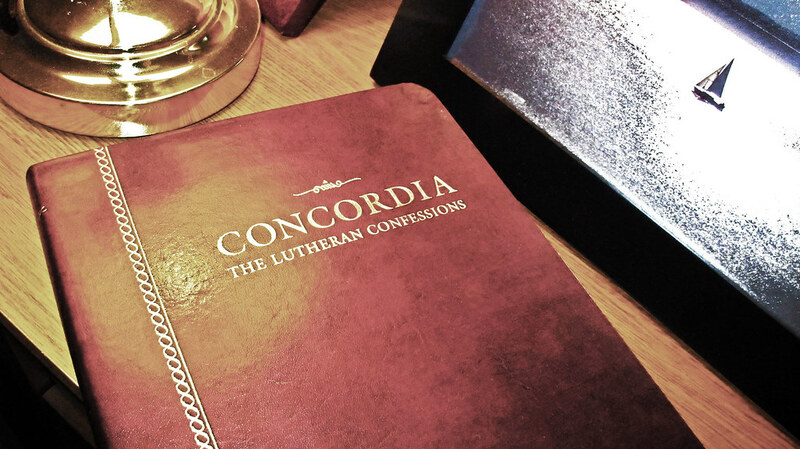 In recognition of the four hundred ninety-nine year anniversary of the beginnings of the Reformation, Light from Light hosted a giveaway of a copy of the Christian Book of Concord, Second Edition from Concordia Publishing House. Over seventy people entered. The winner chosen at random was Abigail L.
and uphold me with Thy free spirit. May we be always grateful. In recognition of the four hundred ninety-eight year anniversary of the beginnings of the Reformation, Light from Light hosted a giveaway of a copy of the Christian Book of Concord, Second Edition from Concordia Publishing House. Over 140 people entered. The winner chosen at random was Shelley Z. May God bless you in the upcoming holiday / holy day season. In our day, many Lutherans wish to compromise the pure word of God. They believe such compromise brings prosperity and peace with the world. But such peace is only a temporal peace. And the success such compromises bring is only a temporal success. It does not last. God’s word endures forever. (1 Peter 1:25, Isaiah 40:8). Therefore, God’s word alone brings genuine peace. This is because genuine peace is a lasting peace. It lasts forever. Christ alone gives us this peace with God in His word of promise. When a theologian is asked to yield and make concessions in order that peace may at last be established in the Church, but refuses to do so even in a single point of doctrine, such an action looks to human reason like intolerable stubbornness, yea, like downright malice. That is the reason why such theologians are loved and praised by few men during their lifetime. Most men rather revile them as disturbers of the peace, yea, as destroyers of the kingdom of God. They are regarded as men worthy of contempt. But in the end it becomes manifest that this very determined, inexorable tenacity in clinging to the pure teaching of the divine Word by no means tears down the Church; on the contrary, it is just this which, in the midst of greatest dissension, builds up the Church and ultimately brings about genuine peace. Therefore, woe to the Church which has no men of this stripe, men who stand as watchmen on the walls of Zion, sound the alarm whenever a foe threatens to rush the walls, and rally to the banner of Jesus Christ for a holy war! Try and picture to yourselves what would have happened if Athanasius had made a slight concession in the doctrine of the deity of Christ. He could have made a compromise with the Arians and put his conscience at ease; for the Arians declared that they, too, believed Christ to be God, only not from eternity. They said: … “there was a time when He did not exist,” meaning, He had become God. But they added: “Nevertheless He is to be worshiped, for He is God.” Even at that remote time, had Athanasius yielded, the Church would have been hurled from the one Rock on which it is founded, which is none other than Jesus Christ. Again, imagine what would have happened if Augustine had made a slight concession in the doctrine of man’s free will, or rather of the utter incapacity of man for matters spiritual. He, too, could have made a compromise with the Pelagians and put his conscience at at ease because the Pelagians declared: “Yes, indeed; without the aid of God’s grace no man can be saved.” But by the grace of God they meant the divine gift which is imparted to every man. 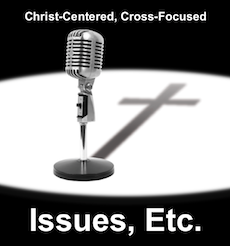 Even at that time, had Augustine yielded, the Church would have lost the core of the Gospel. There would have been nothing left of it but the empty, hollow shell. Aye, the Church would have retained nothing but the name of the Gospel. For the doctrine of the Gospel that man is made righteous in the sight of God and saved by nothing but the pure grace of God, through the merits of Jesus Christ, is, as everybody knows, the most important doctrine, the marrow and substance of Christian teaching. Wherever this doctrine is not proclaimed, there is no Christ, no Gospel, no salvation; there men perish, and for such people it has been in vain that the Son of God has come into the world. Lastly, picture to yourselves what would have happened if Luther had made a slight concession in the doctrine of the Holy Supper. At the time of the Marburg Colloquy he could have made a compromise with Zwingli and put his conscience at ease, because the Zwinglians said: “We, too, believe in a certain presence of the body and blood of Christ in the Lord’s Supper, but not in the presence of Christ’s corporeal substance, because God does not set up such sublime, incomprehensible things for us to believe.” By this claim Zwingli made Christianity in its entirety a questionable matter, and even Melanchthon, who was usually greatly inclined to make concessions, declared that Zwingli had relapsed into paganism. Had Luther yielded, the Church would have become a prey to rationalism, which places man’s reason above the plain Word of God. Let us, therefore, bless all the faithful champions who have fought for every point of Christian doctrine, unconcerned about the favor of men and disregarding their threatening. Their ignominy, though it often was great, has not been borne in vain. Men cursed them, but they continued bearing their testimony until death, and now they wear the crown of glory and enjoy the blissful communion of Christ and of all the angels and the elect. Their labor and their fierce battling has not been in vain; for even now, after 1500 years, or, in the last named case, after several centuries, the Church is reaping what they sowed. Let us, then, my friends, likewise hold fast the treasure of the pure doctrine. Do not consider it strange if on that account you must bear reproach the same as they did. I know your tribulation and your poverty (but you are rich) and the slander of those who say that they are Jews and are not, but are a synagogue of Satan. Do not fear what you are about to suffer. Behold, the devil is about to throw some of you into prison, that you may be tested, and for ten days you will have tribulation. Be faithful unto death, and I will give you the crown of life.